Chaperone, originally uploaded by bikeracer. 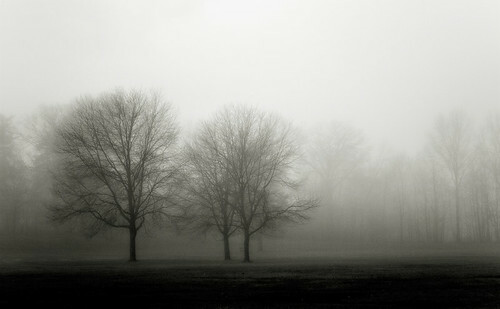 I love trees-in-fog photographs. This one has a nice composition, with the two trees off-center in a photo by "bikeracer" that is almost, but not quite, back-and-white.